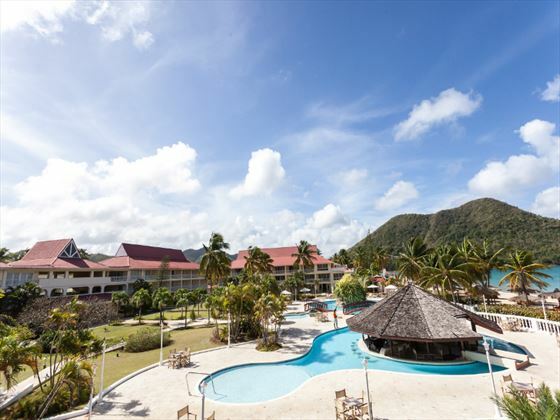 A peaceful and relaxed resort set in a prime location on Reduit Beach, Royal by Rex Resorts is surrounded by beautiful tropical gardens and looks out onto picturesque views. 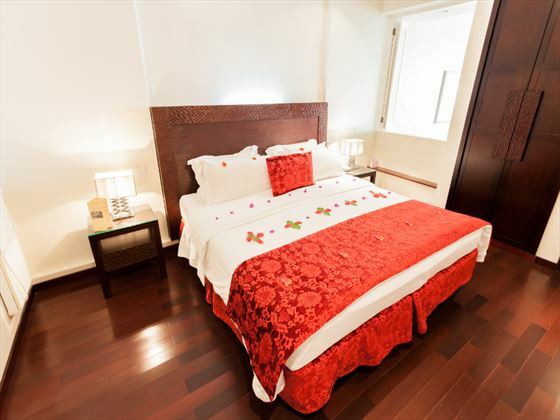 The suites are comfortable and spacious, giving you plenty of space to relax and unwind. 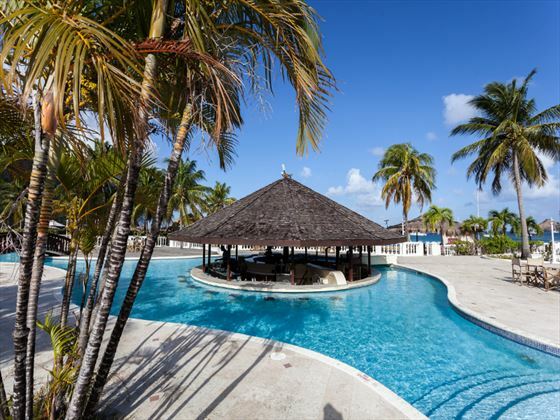 Families will love this resort – there’s a kids club for little ones to enjoy while you lounge by the pool, as well as family-friendly accommodation to suit kids and adults alike. 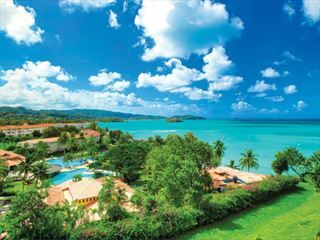 Fancy taking a dip in the inviting Caribbean waters? 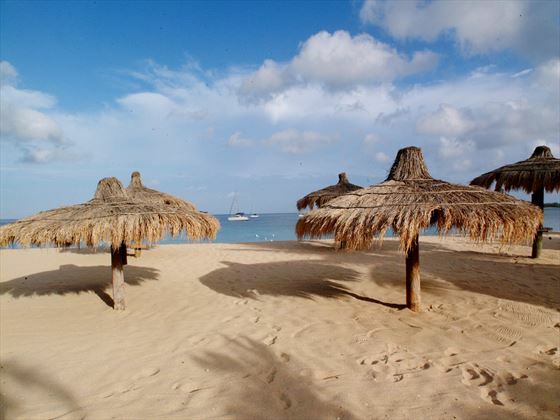 There are plenty of watersports to choose from, from snorkeling to scuba diving and parasailing, leaving you spoilt for choice on how to get your adrenalin buzz. If you’d rather stay on land, head to the golf course or go horseback riding nearby to the property. There’s a gym and a spa so whether you want to keep fit or relax, there are options for both. 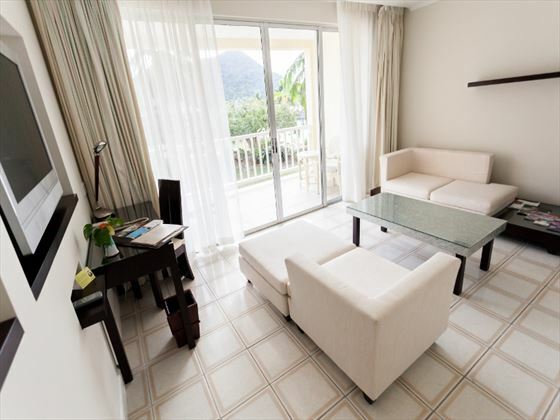 The resort offers 96 newly refurbished suites. 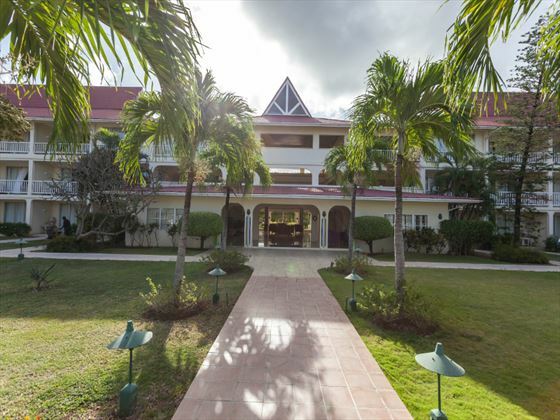 Deluxe suites – Feature a sitting room and bedroom, luxury bathroom, king or twin beds, minibar, safe, cable TV, radio and background music systems, IDD telephone, and patio overlooking the gardens. 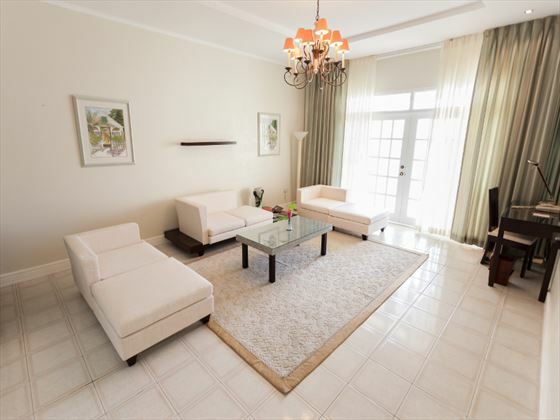 Seaview Deluxe – As Deluxe but with balcony affording pool and sea view. 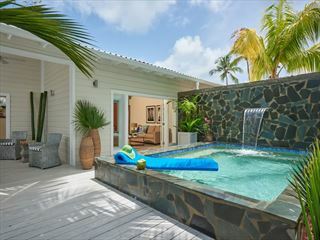 Beachfront Deluxe – As Seaview Deluxe but directly overlooking the beach, more spacious sitting room, DVD player, large private sundeck & terrace with additional TV in bedroom and wet bar on terrace. Grand Deluxe – As Seaview Deluxe with a large terrace. L’Epicure & Terrace – Elegant beachside a-la-carte restaurant. 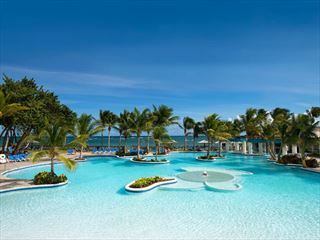 La Mirage – Overlooking overlooks two inter-connecting pools with swim up bar, serving exotic cocktails. There’s also a landscaped pool deck. Chic! 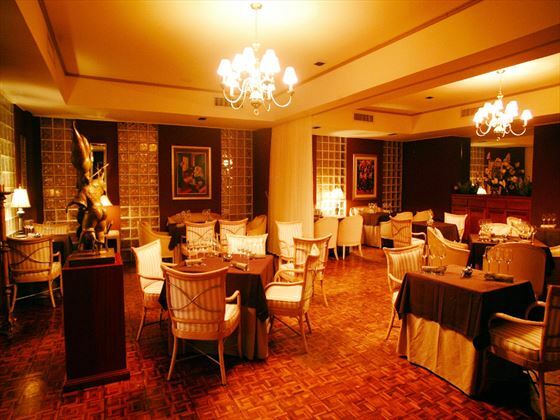 – Elegant air-conditioned restaurant serving French and International cuisine. Mistral Lounge – serving cocktails in a sophisticated, relaxing setting. 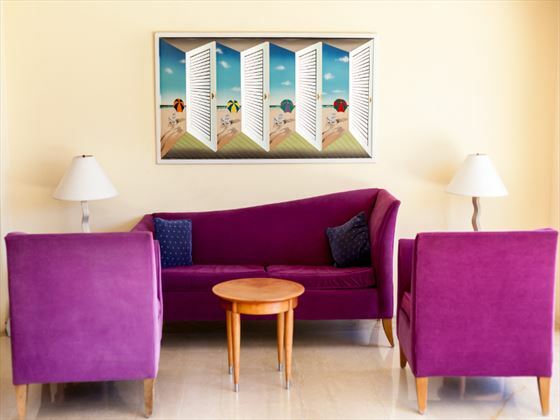 La Galerie – An open air lounge/sitting room on first floor which overlooks the lobby. Perfect for reading, writing and relaxing.